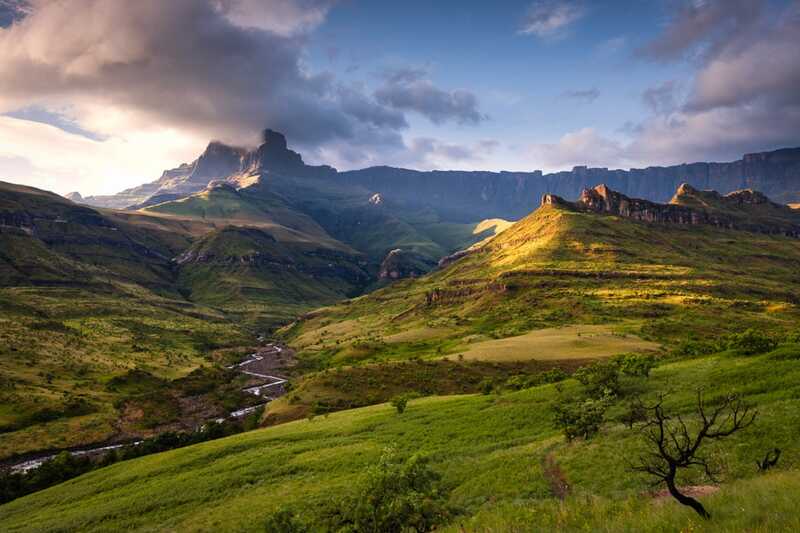 Africa’s largest protected montane wilderness - the 2,500km2 uKhahlamba-Drakensberg National Park extends for a full 200 km along the border of KwaZulu-Natal and Lesotho, and incorporates several dozen peaks with the highest rising to 3,000m. Its name combines the isiZulu uKhahlamba (“Barrier of Spears”) with the Afrikaans Drakensberg (“Dragon’s Mountain”). South Africa’s ultimate destination for high-altitude day walks and overnight hikes, the park is a hub of botanical diversity and some 15% of its 2,500 identified plant species occur nowhere else in the world. 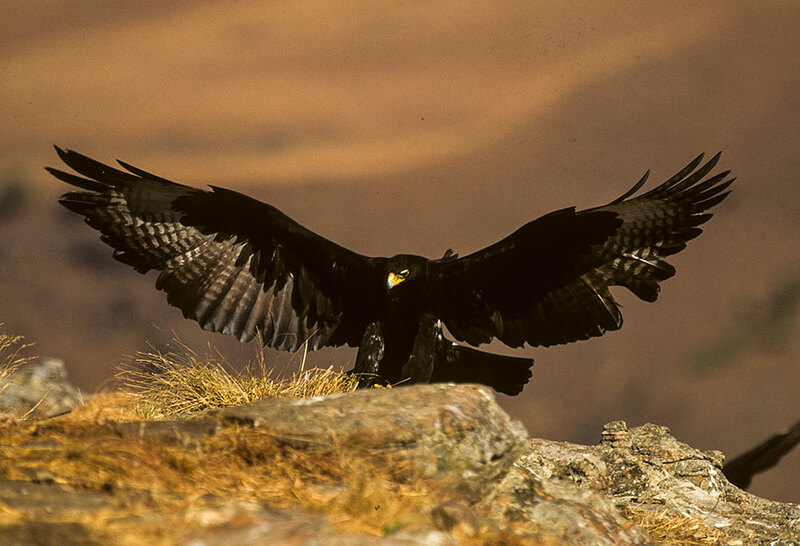 Large wildlife includes baboon, eland, bushbuck, mountain reedbuck, grey rhebok and grey duiker, as well as 300-strong bird checklist that is strong on cliff-associated raptors such as Verreaux’s eagle, Jackal buzzard, Cape vulture and lammergeyer, and also includes 20 species whose range is restricted to South Africa, Lesotho and Swaziland. An important repository of prehistoric rock art, uKhahlamba-Drakensberg contains at least 500 painted caves and shelters where monochrome human figures and finely shaded polychrome elands share wall space with bizarre half-human-half-animal creatures known as therianthropes. Executed between 3,000 and 200 years ago, the art depicts the ritual trances experienced by shamans, and their complex relationships with revered animals. 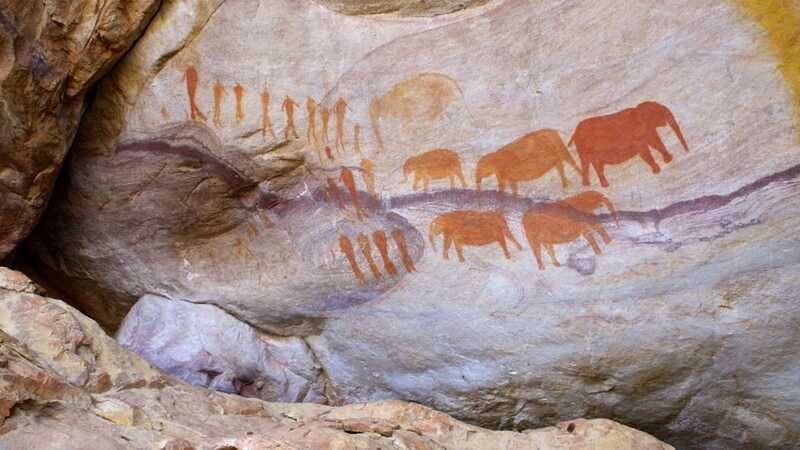 uKhahlamba-Drakensberg’s combination of rich biodiversity and prolific rock art has gained it recognition as one of only 35 ‘mixed’ natural and cultural sites on the UNESCO World Heritage list. No single feature encapsulates the mountains’ majesty quite like the Amphitheatre, a 5km-long, kilometre-high wall of burnished sandstone that dominates the skyline of Royal Natal National Park. A must for keen walkers is the half-day Gorge Trail, which follows a pretty riverine gorge past natural swimming pools to the 949m-tall five-stage Tugela Falls. A feasible day hike from Royal Natal is the Witsieshoek’s Chain Ladder Trail. It’s the easiest hike to the top of the escarpment, and offers sensational views from the lip of the Tugela Falls as it crashes over the Amphitheatre. 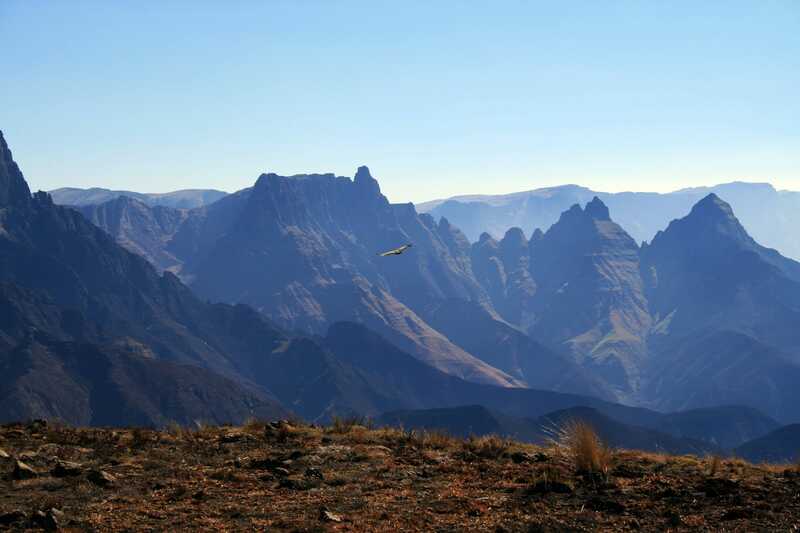 The ideal goal perfect for those who want to enjoy splendid submontane scenery without breaking a sweat, Champagne Valley is overlooked by a trio of distinctive high peaks – domed Champagne Castle, fang-like Monk’s Cowl, and freestanding Cathkin Peak. It also houses a great selection of golf courses, stables, shopping malls, craft factories and the like. Named after a 3,314m basaltic protrusion that stands at the convergence of the mountains’ northern and southern escarpments, Giant’s Castle Game Reserve is renowned for its rock art, in particular the hundreds of superb images that adorn Main Cave. It’s also a good place to see the stately eland antelope and other large mammals and raptors. Didima Rock Art Centre contains life-size reproductions of several inaccessible rock art panels set higher in the mountains. Only 45 minutes’ walk away, the Lower Mushroom Cave is decorated with a wonderful scene of stick men evading a marauding leopard. The striking 3,005m Cathedral Peak, which towers above the main escarpment like a squatted version of the cow horn alluded to in its traditional name Mponjwane, is an attainable goal for a tough full-day guided hike from Didima. The undulating slopes of Kamberg support fair numbers of eland and mountain reedbuck. A three-hour round hike leads to the Game Pass Shelter, a superbly preserved rock art panel dubbed the Rosetta Stone in double reference to its significance in helping scholars ‘crack the code’ of shamanistic symbolism that underlies the prehistoric paintings. The only motorable track to breach the Barriers of Spears, rocky 4x4-only Sani Pass follows a series of switchbacks uphill to a remote Lesotho border post (passport required) set at a windswept altitude of 2,865m. Here, the tussocky grass, mossy boulders and clumped heather of the Alpine zone acquires an ethereal beauty in the soft light of dusk or dawn. 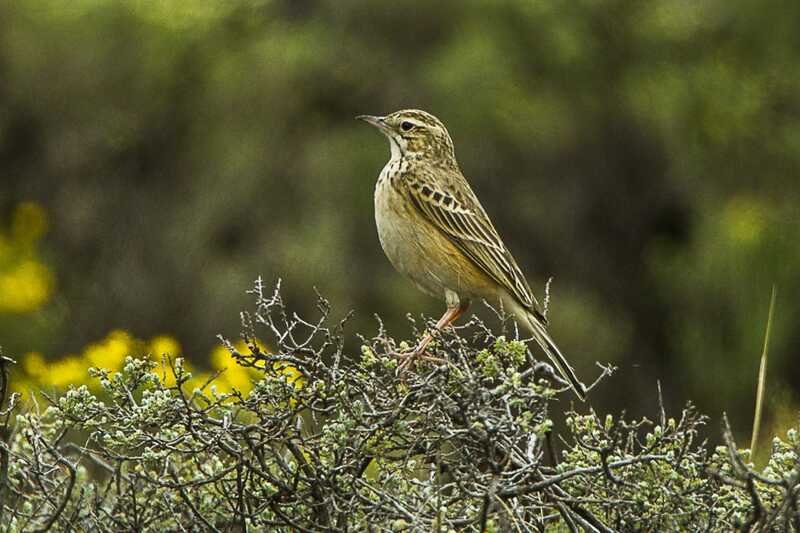 It’s also the easiest place to see high altitude endemic birds such as the Drakensberg rockjumper and mountain pipit. The rugged topography of uKhahlamba-Drakensberg divides the park into a dozen-odd different sectors, each effectively a self-contained destination with its own attractions and access roads. Most visitors will only have time to explore one or two. As a guideline, Royal Natal ranks highest for scenic impact, Champagne Valley for upmarket tourist development, Giant’s Castle and Kamberg for accessible rock art, and Sani Pass for birdwatching and 4x4 enthusiasts. 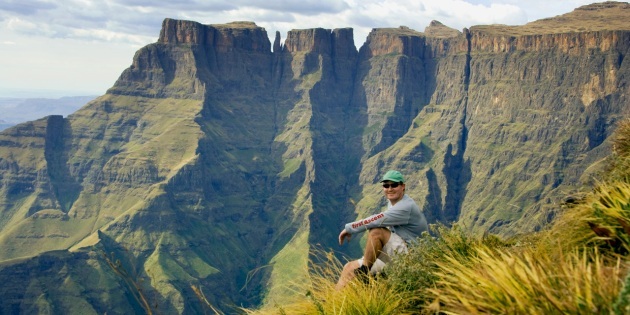 uKhahlamba-Drakensberg is geared best to active self-drive travellers who are willing to explore its slopes on foot. Bank on at least up to four hours to cover the 350 km from Gauteng to Royal Natal Park (in the north), or two hours from Durban to Himeville (near the base of Sani Pass). For ecological reasons, no hotels exist within the park, but the park authorities operate rest camps at several entrance gates, and there are private hotels in Champagne Valley and in the vicinity of Royal Natal, Cathedral Peak and Sani Pass. uKhahlamba-Drakensberg’s non-nannyish management policy stands in contrast to the strict regulations and hefty costs associated with other iconic African mountains – simply pitch up at any entrance gate, hand over the nominal entrance fee, sign into the mountain register, and off you go. Hikers on the upper slopes frequently get trapped in stormy or misty conditions, so dress suitably, and be prepared to turn back or stay put as weather conditions dictate.